The Irish Government has announced intentions to build a network of HPC chargers along Irish motorways and national roads. The government has set aside a €20 million pot to fund 50 high power charging hubs across the nation. Said HPC hubs are planned to be able to accommodate between two and eight electric vehicles at once, as well as being capable of charging an EV for a 100 km range within six minutes. 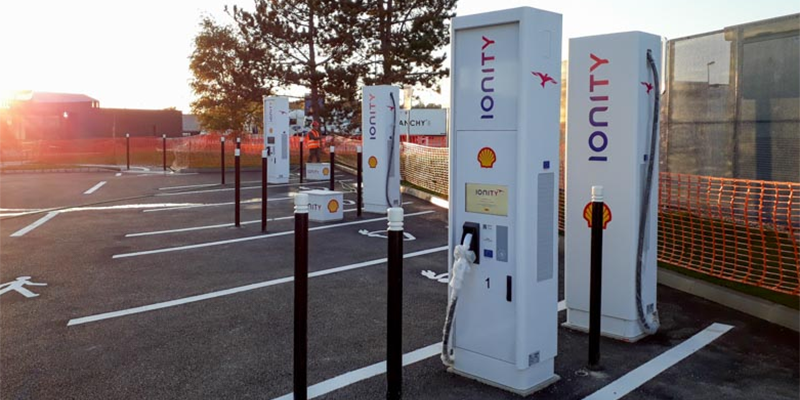 Additionally, the standard 22 kW AC chargers at 50 locations will be upgraded to 50 kW DC fast chargers, moving Ireland a little faster towards the next generation of electric mobility. 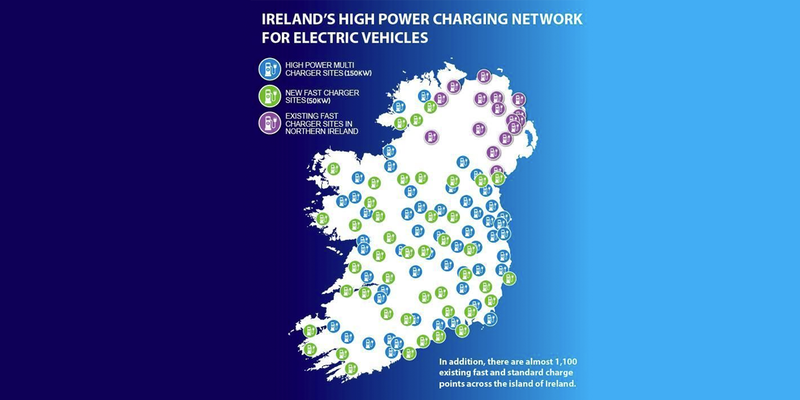 The network map shows the coverage of chargers in Ireland, adding colour coding for charger capacities. Range anxiety should be a problem of the pasts once this network is standing. However, some voices from Ireland consider the move too little, too late. Green Party leader Eamon Ryan said: “It is welcome, it is a good news story, and we approve of what they’re doing, but I think they should be going further.” He also noted the proliferation of EV drivers in major cities, namely Dublin, where the majority of the current 5,444 electrified vehicles in Ireland reside. 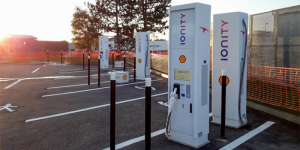 The coverage of 1,200 charging ports is capable of covering the current needs, but once drivers really begin switching to electric vehicles, the lines at charging stations may become longer. Ryan continues by adding that economic incentives for charging stations should be added, such as shopping opportunities, in order to not dump the entire costs on the taxpayer.